Chicago Flower Is Your Local Downtown Chicago Florist. Send Farm Fresh Flowers To Chicago From Anywhere In The World! 100,000 Flower Arrangements Delivered To Happy Recipients In The Chicago Area. Our Clients Include U.S. Presidents, (Current & Past) Members of the Political Ruling Class, (From Both Sides Of The Aisle), Foreign Heads Of State, State Political Figures, National and Local News Persons, Forbes Top 100 Wealthy, Hollywood Stars and Starlets, Rock Stars and Rock Legends, and so many more...Hopefully, It will Include You! We Are A Local Florist Centrally Located in Downtown Chicago, Near All of Chicago's Downtown Hotels and Event Venues. In the Northwestern Medicine Administration Building On the Northwestern Campus we deliver to Northwestern Medicine Hospital, Prentice Woman’s Hospital, Shirley Ryan Rehabilitation Center, Lurie Children’s Hospital. We offer Same Day Delivery of Floral Gifts On Orders Received before 5:00 PM To Chicago. We carry a large selection of Cut Flowers. We also carry Orchid Plants and Lucky Bamboo. We have Unique Flower Delivery Upgrades. We Specialize in Weddings and Events. At this time we are not able to send photos of the flower arrangements. We do not provide this service. We recommend that you ask the recipient to send you a photo. We do our best to process your orders the moment we receive them. Due to this fact, it is sometimes very difficult to cancel an order. Cancelled orders will be subject to a $10 cancellation fee. If the order has already been delivered, it is impossible to cancel and the full charge will apply. If your payment is returned for any reason, you will be charged a $100 Returned Payment Fee. We also reserve the right to post any and all personal information we have collected from you until you have resolved the returned payment issue. If you have any questions, concerns, complaints, or just want to say thank you, feel free to call us at our store at any time. Our standard store hours are Monday thru Friday 9 AM to 5 PM, with Saturday hours from 10 AM to 4 PM. 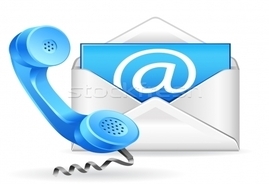 Our telephone number is (312) 755-9900. Thank you for your attention to our policies. We deliver until we are finished. Order online 24/7. Our Shop Hours may vary on Holidays. Addison, Alsip, Arlington Heights, Bannockburn, Bedford Park, Bellwood, Bensenville, Berkley, Berwyn, Beverly, Bloomingdale, Blue Island, Broadview, Brookfield, Buffalo Grove, Burbank, Carol Stream, Chicago, Chicago Ridge, Cicero, Clarendon Hills, Countryside, Darien, Deerfield, Des Plaines, Downers Grove, Elk Grove, Elmhurst, Elmwood Park, Evanston, Evergreen Park, Forest Park, Forest View, Franklin Park, Glen Ellyn, Glencoe, Glendale Heights, Glenview, Golf, Hanover Park, Harwood Heights, Highland Park, Highwood, Hillside, Hinsdale, Hodgkins, Hoffman Estates, Hometown, Indianhead Park, Inverness, Itasca, Kenilworth, LaGrange, LaGrange Park, Lake Bluff, Lake Forest, Lincolnshire, Lincolnwood, Lisle, Lombard, Lyons, Maywood, McCook, Medinah, Melrose Park, Morton Grove, Mount Prospect, Niles, Norridge, North Riverside, Northbrook, Northfield, Northlake, Oak Park, Oakbrook, Oakbrook Terrace, Oaklawn, Palatine, Park Ridge, Prospect Heights, River Forest, River Grove, Riverside, Rolling Meadows, Roselle, Rosemont, Schaumburg, Schiller Park, Skokie, Stone Park, Streamwood, Summit, Villa Park, Westchester, Western Springs, Westmont, Wheaton, Wheeling, Willmette, Winfield, Winnetka, Woodale, Woodridge. AC Hotel by Marriott Chicago Downtown, Ace Hotel Chicago, ACME Hotel, Aloft Chicago City Center, Ambassador Chicago, Bandera Hotel, Best Western Grant Park Hotel, Best Western River North Hotel, Blackstone Hotel, Buckingham Club, Cambria hotel & suites Chicago Magnificent Mile Central Loop Hotel, Chicago Hotel, Chicago Marriott Downtown, Club Quarters Hotel, Comfort Suites Michigan Avenue – Loop, Congress Plaza Hotel, Conrad Chicago, Courtyard by Marriott Chicago Downtown/Magnificent Mile, Courtyard by Marriott Chicago Downtown/River North, Crowne Plaza Chicago West Loop, Dana Hotel & Spa, Dewitt Hotel & Suites, DoubleTree by Hilton Chicago, Magnificent Mile, Drake Hotel, Embassy Suites by Hilton Chicago Downtown, Embassy Suites, Essex Inn, Fairfield Inn & Suites by Marriott Chicago Downtown/River North, Fairmont Chicago Millennium Park Hotel, Felix Hotel, FieldHouse Jones, Four Seasons Hotel, Freehand Chicago Godfrey Hotel, Gwen, a Luxury Collection Hotel Michigan Avenue Chicago, Hampton Inn Chicago, Downtown/Magnificent Mile, Hampton Inn Majestic Chicago Theatre District, Hard Rock Hotel, Hilton Chicago, Hilton Chicago/Magnificent Mile Suites, Hilton Garden Inn Chicago Downtown/Magnificent Mile, Hilton Garden Inn Chicago/North Loop, Holiday Inn Chicago Mart Plaza River North, Holiday Inn Express Magnificent Mile, Holiday Inn Express, Homewood Suites by Hilton Chicago, Downtown/Magnificent Mile, Hotel Allegro, Hotel Blake, Hotel Burnham, Hotel Chicago DowntownHotel EMC2, Hotel Indigo Chicago Downtown Gold Coast, Hotel Lincoln, Hotel Palomar, Hotel Rush, Hyatt Centric Chicago Magnificent Mile, Hyatt Centric The Loop Chicago, Hyatt Place Chicago/River North, Hyatt Place, Hyatt Regency Chicago, Hyatt Regency McCormick Place, Inn of Chicago, nterContinental Chicago, Ivy Boutique Hotel, James Hotel, JW Marriott Chicago, Kimpton Gray Hotel, Kimpton Hotel Monaco Chicago, Kinzie Hotel, La Quinta Inn & Suites Chicago Downtown, Langham Hotel, Loews Chicago Hotel, London Guarantee Building, MileNorth Chicago, Millennium Knickerbocker Hotel Chicago, Omni Hotel, Palmer House Hilton, Park Hyatt Chicago, Peninsula, Pittsfield Hotel, Radisson Blu Aqua, Raffaello Hotel, Red Roof Inn Chicago Downtown - Magnificent Mile, Renaissance Chicago Downtown Hotel, Residence Inn by Marriott Chicago Downtown/Loop, Residence Inn by Marriott Chicago Downtown/Magnificent Mile, Residence Inn by Marriott Chicago Downtown/River North, Ritz Carlton, River Hotel, Sheraton Grand Hotel, Silversmith Hotel, Sofitel Chicago Water Tower, Spring Hill Suites, Swissotel, Talbott hotel, Thompson Hotel, Tremont Hotel, Trump International Hotel, Viceroy Chicago, Virgin Hotels Chicago, W Chicago - City Center, W Chicago – Lakeshore, Waldorf Astoria Hotel, Warwick Allerton Hotel, Westin Chicago River North, Westin Hotel Michigan Avenue, Whitehall Hotel, Wit Chicago, Wyndham Grand Chicago Riverfront. Chicago Flower specialize in Same Day Flower Delivery After 3pm Central Standard Time on Floral Deliveries going to the City of Chicago. Chicago Flower is your Last Minute Florist for Funerals, Weddings and Events! When other florist say it is too late - Chicago Flower will say YES to Same Day Delivery! By placing a flower delivery order with Chicago Flower you agree to accept our delivery policy. We do not offer Morning Delivery. All orders will be delivered with other orders in that area. The distance of the delivery address to our store does not determine the time of delivery. Our deliveries are performed in a manner that allow us to complete the most deliveries in the shortest time span. Same Day Delivery: If you order before 4:00 pm CST, for delivery in the city of Chicago, we can typically deliver the flowers the same day, Monday through Friday. For orders going outside of Chicago, we may require the order to be delivered on the following day that we are open. Specific Times: We are unable to guarantee delivery at specific times. 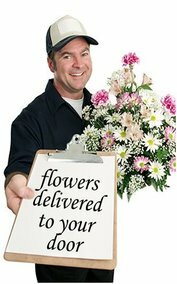 Placing a specific delivery time in the special instructions will not result in your flowers being delivered at the requested time. We may or may not contact you regarding specific delivery times requested in the special instructions. Delivery Times: We deliver to businesses first, followed by residences and hospitals. 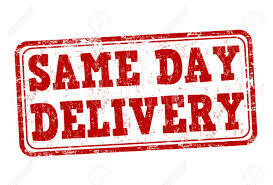 Normal delivery times are 10am-5pm daily for orders going to a business, or in cases of businesses that are open later, we deliver before the close of the business. 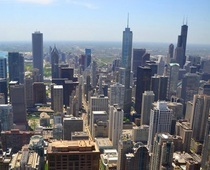 We deliver to residences after we complete the businesses, starting in the downtown Chicago area. We work our way out from the downtown area to the areas not in downtown and the surrounding suburbs. We deliver until all of the deliveries are completed. High Schools: High schools do not accept deliveries for students. Please send teacher's gifts to the high school and any student orders to their residence. Orders to high schools should be placed early because they usually must be received by 3pm. Weekend Delivery Policy: We are unable to arrange for delivery on Sunday. If you order before 3:00 pm CST, for delivery in the city of Chicago, we can typically deliver the flowers the same day on Saturday. If No One is Home: The delivery driver determines the best course of action to take when they are there, atempting delivery. The delivery person may leave the gift in a safe place for the recipient to retrieve when they return, such as with a neighbor, or leave a message for the recipient to call to arrange for delivery. Incorrect Addresses: If the recipient's address is incorrect and delivery was attempted to the address, there is a $10 address correction fee. Athena Flowers is not responsible for deliveries made to incorrect addresses submitted to us by the customer. If such a delivery is made, the customer assumes responsibility for the entire purchase..
With regards to gift or gourmet baskets, minor substitutions of certain items may be necessary in order to expedite your order. We will always make every effort to match the original theme and value of the original items. Please indicate if for any reason this is not acceptable. We do not accept anonymous orders. 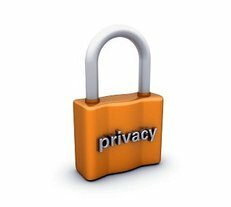 We reserve the right to disclose the sender to the recipient in all cases. 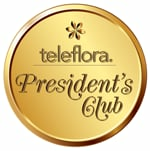 When you place an order online, you agree that we may disclose your identity to the recipient of your floral gift. We discourage "anonymous" orders. We may notify you that we can not accept your order, if you place it anonymously. We may with no notice at all, cancel any order that is placed as anonymous.